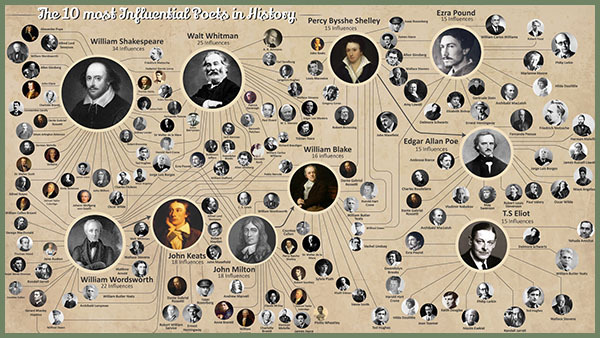 Curious about the connections shared among The 10 Most Influential [English-speaking] Poets in History? Enjoy. “Car Window Poetry exists to help you make your mark on people’s hearts by sharing your poems on car windows.” You can read more on the Car Window Poetry website, submit your own short poem(s), and follow Car Window Poetry on Facebook and Instagram. A few days ago, we posted some information about Bellingham’s first-ever SeaFeast. The first day of SeaFeast is this Friday, September 30, 2016. It will open with four Writers Workshops at the Fairhaven Library, lower level, followed by mariner poetry/prose/song performances at Boundary Bay Brewery from 4:00-11:00pm and The Sea Shanty Singalong at Honey Moon Mead & Cider from 7:00-11:00pm on that same evening. In addition to the many other activities on Saturday, October 1, there will be two SeaFeast readings at Village Books: Clem Starck at 4:00pm and Erin Fristad at 7:00pm. Four performers from the FisherPoets Gathering in Astoria, Oregon, will offer interactive poetry workshops. (You don’t have to know anything about fishing to participate.) $10 per workshop, payable at the door. Reservations are first-come first-served (through Sept. 28, or until the workshops are fully booked) and are highly recommended as workshops are expected to sell out. To make your reservations, send an email to workshops@buckmeloy.com and include which workshop(s) you plan to attend, your email address, full name and phone number. Bring a notebook, writing instrument, and any other items suggested in the description of your workshop(s). This will be a hands-on, brain-on, and voice-on seminar where participants will write and sing an original maritime ballad. Seminar leader John van Amerongen will present a bluesy melody on his guitar and discuss the elements of rhythm and rhyme scheme necessary to meet the requirements of the music. Within that framework, participants will create a story developing a common seafaring element or lesson for mariners. We will wrap it up by recording the song on “Garage Band” software available to all seminar participants via email shortly after the seminar. John van Amerongen retired from Trident Seafoods this year as its Director of Communications and Chief Sustainability Officer. Previously he was Editor in Chief of the Alaska Fisherman’s JOURNAL for 22 years. Prior to embarking on his writing career, he earned his living as a boat builder, fisherman and teacher. He holds a bachelor’s degree in English literature from the University of Washington. Commercial fishing has inspired his art. He taught himself how to play the banjo and guitar so he could sing traditional bluegrass and country songs as well as his own ballads, which celebrate life, love, loss and humor in the Alaska commercial fishing fleet. He performs regularly at fishing and seafood industry trade shows and special events. Have you ever told a lie to get out of trouble? Did that work for you? When I was a kid, everyone said I was a liar. Forty years later I’m a storyteller. How do we come to walk the fine line that distinguishes lying from storytelling? What is the difference between a story and a tall tale? What purpose does each serve? What tools are available for creating and inhabiting the world of the story? How do we as storytellers invite our audience as we journey through the realms of story? Join Moe Bowstern for an exploration of stories and storytelling, and gain insights into how to best present your own stories and when to tell them! Bring an open mind, a way to take notes and a story you like to tell. Since 1996, Moe Bowstern has been the editor of Xtra Tuf, a zine that chronicles the experiences and adventures of commercial fisher folk in Alaska and beyond. Moe performs annually at the Astoria, Oregon, Fisher Poets Gathering; she has also appeared at the Sea Music Festival in Mystic, Conn., the Working Waterfront Festival in New Bedford, Mass., and Tony’s Bar (“Kodiak’s Biggest Navigational Hazard”) in Kodiak, Alaska, among other places. Xtra Tuf #5: The Strike Issue won the 2007 Lilla Jewel Award. Moe has worked on fishing boats since 1986, when as a miserable 18-year-old boat cook she once inadvertently threatened the lives of the crew by serving pasta tossed with shards of glass. She has fished salmon, halibut, herring, tanner crab, cod in Alaska, shad on the Hudson River and shrimp in Miami. This workshop will use the tales of fishermen to reveal those factors that contribute to strong story-telling, especially as it applies to creating prose and poetry to describe one’s work. 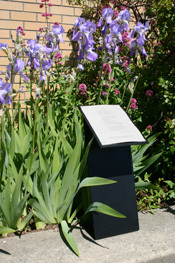 Examples will include writings of Fisher Poets who will be performing during this Bellingham SeaFeast weekend. This is a hands-on workshop. Jon Broderick will highlight elements that make these writings powerful, and participants will be asked to do writing exercises that utilize some of these concepts. Jon Broderick is a longtime salmon setnetter in Bristol Bay, Alaska, a musician (guitar, banjo) and songwriter, and a former school teacher. His Nushagak setnet site is an annual family affair. Jon was one of the originators of the annual FisherPoets Gathering in Astoria, OR, twenty years ago. Poetry is a spoken art. It uses language as a tool. Language consists of two basic elements: sound and sense. In this workshop we will deal with the sound(s) of language and of poetry. We will engage in some vocal exercises to warm up our voices. We will practice reading aloud some poems furnished by the instructor. Participants may bring a favorite poem (or a poem of their own) and depending on time, practice reading it. Hopefully each person will gain some more familiarity with the sound of his or her own voice. Clemens Starck is a Princeton drop-out, a former merchant seaman, a retired union carpenter and construction foreman, and the author of six books of poems. 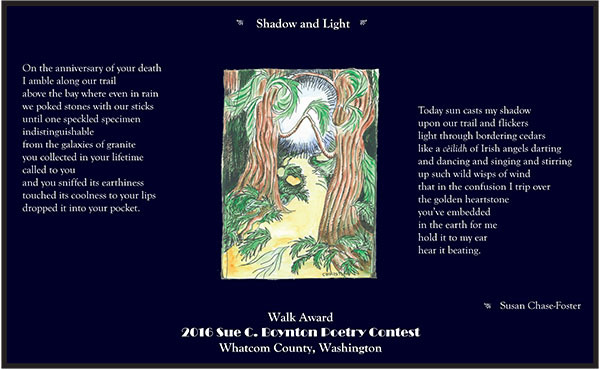 He is a recipient of the Oregon Book Award as well as the William Stafford Memorial Poetry Award from the Pacific Northwest Booksellers Association. His books are: Journeyman’s Wages (1995), Studying Russian on Company Time (1999), China Basin (2002), Traveling Incognito (2004), Rembrandt, Chainsaw (2011) and Old Dogs, New Tricks (2016). He lives in the foothills of the Coast Range in western Oregon. For more information, see FisherPoets-on-Bellingham Bay. Banned Books Week is September 25 through October 1, 2016. There are a lot of resources on the Banned Books Week website and more information, including a list of the top ten most challenged books of 2015, on the website of the American Library Association. At this link you can also add the I READ BANNED BOOKS flag to your Facebook or Twitter profile. If you’re not sure what to read, have a look at this “Banned Books” article from the Academy of American Poets. dropped it into your pocket. *Copyright 2016 by Susan Chase-Foster. Broadside illustrated by Christian Smith. Enjoy — and/or write your own!